A Freshine Pro’s window cleaning will leave your windows sparkling clean, with no streaks, smudges, or water spots! Residential customers really appreciate clean windows and professional window cleaning can last longer and look so much better. If you’ve never had a professional window cleaning, let the Freshine Pro’s impress you today! Window cleaning is a must for most businesses as a first impression is often the businesses store front. 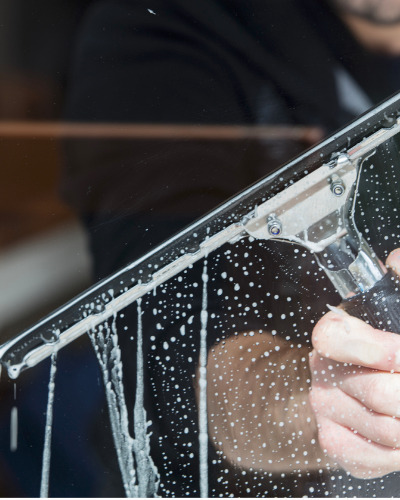 Simple dirty windows may not be enough to stop a customer from coming into your store, but let’s be honest, we want our customers to have a great experience, clean windows and a beautiful store front can contribute to that great experience. So put a fresh shine on your business and call Freshine! Whether you’re trying to keep the bugs or the sun out, a Freshine Pro’s Screen Repair can fix all of the holes and tears, or if you want to upgrade to a better quality screen a Freshine Pro’s Screen Repair can leave you with Freshine quality screens! 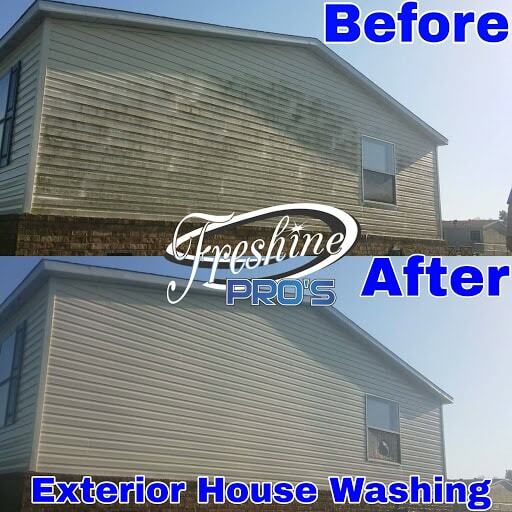 A Freshine Pro’s House Wash uses an advanced, safe, biodegradable application technique that will leave your house clean and reduce health risks from mold, mildew, and algae that’s growing on your house! 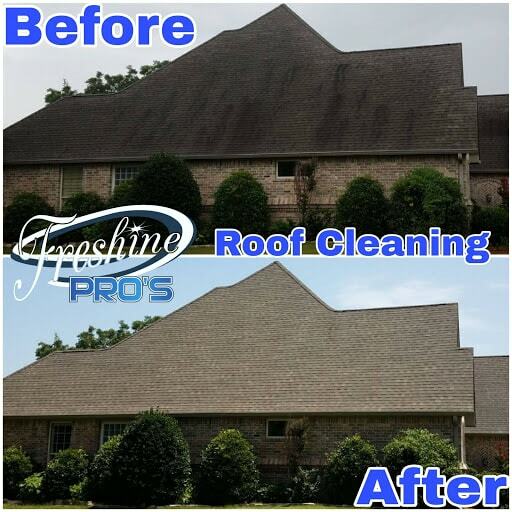 Freshine Pro’s use a biodegradable chemical soft wash in cleaning your roof that will not leave any damages to your roof or house. By cleaning your roof not only will you see the benefit of your roof appearance looking new again, but you are also helping prevent premature surface damage and extends the roofs effective lifespan. Freshine Pro’s use a biodegradable chemical soft wash in cleaning your roof that will not leave any damages to your roof or house. By cleaning your roof not only will you see the benefit of your roof appearance looking new again, but you also are helping prevent premature surface damage and extends the roofs effective lifespan. Preventative maintenance! The whole idea behind preventative maintenance is to save you money! Spend a little now so you won’t have to spend a lot later. A clean gutter system can prevent damage to the gutter system itself, it can prevent fascia from rotting, your flower beds free from flooding, etc. Keep the water flowing where you want it to flow, give Freshine gutter cleaning a go! Remove years of grime to keep your home looking like new, whether you’re selling or staying. Power washing your home can save you from having to repaint and even from expensive repairs. Grime, dirt, and mildew collect on your home’s siding, and these can be removed without using extreme water pressure but by using contractor grade chemicals. Some brick cannot withstand as much pressure as others can especially on the mortar joints. The professionals at Freshine Pro’s adjust the tension to eliminate any risk of damage. Preventative maintenance! The whole idea behind preventative maintenance is to save you money! Spend a little now so you won’t have to spend a lot later. A clean gutter system can prevent damage to the gutter system itself, it can prevent fascia from rotting, your flower beds free from flooding, etc… Keep the water flowing where you want it to flow, give Freshine gutter cleaning a go! Improve the beauty of your deck and protect its integrity against the elements. Runoff from your roof, rain, snow and other contaminants can stay on your deck for years. We make sure you don’t end up with streaks, runs, or inconsistencies in the finish, as well as long-term protection. We have the experience it takes to restore a wooden deck to give you the results you expect. Has your fence lost its vibrant, warm glow? Looking discolored and shabby? Don’t worry, underneath all that, the brightness remains. Here at Freshine Pro’s we can revive your fence and restore its look, erasing damage from years of exposure. Protect the investment of your new fence, or save yourself from having to replace it, by restoring its original beauty with our fence washing service. With a thorough wash from Freshine Pro’s, your fence will look almost like it did the day it was built. 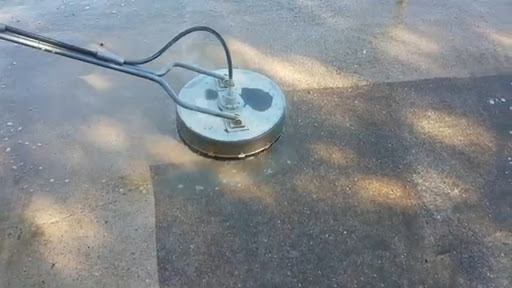 Increase curb appeal and eliminate unsightly staining from oil, rust, moss, mildew, and algae. Give your home and yard an instant facelift by improving the look of your driveway and sidewalk. Many people don’t recognize how dirty their drives, walkways, and porches are, and will be amazed at the difference. A clean driveway along with a house wash is a great way to improve curb appeal. Copyright © 2019 freshinepros. All Rights Reserved.